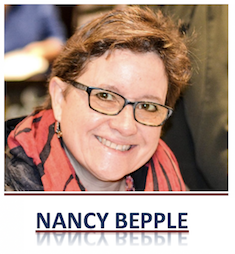 BEPPLE – Should the side with the most marbles always win the game? I WENT LOOKING FOR the 2018 Referendum on Electoral Reform voting package in my mail today. I’d seen online that some people in Kamloops had received their packages. Elections BC’s home page on the web promises we’ll all receive our referendum packages before November 2, whether or not there is a postage service disruption. I didn’t find a voting package, but to my surprise, there was an invitation to a tea party, which made my day. I’m not expecting to feel quite as cheery when my voting package finally arrives. The truth is, after months of back and forth, between the no’s and the yes’s, I’m still in the middle on changing our electoral system from First-Past-the-Post to some form (still to be determined) of Proportional Representation. What’s most interesting to me is that the arguments the two sides use have the opposite effect. I’ve listened to a number of arguments on the No side. One of the least convincing arguments I have heard many times from the No side is that Proportional Representation will lead to extremist politics. I’ve heard MLA Todd Stone use this argument, and I’ve seen the same argument put forward by others as well. The more I hear this argument, the more I’m swayed to the Yes side. The problem with this argument is that it ignores blatant examples of extremism that have emerged in First-Past-the-Post systems. Britain, with a First-Past-the-Post system, hosts a range of far-right anti-Islamic groups. The Britain’s populist Independence Party (UKIP) which promotes nationalism and denigrates the “Islamification” of Britain has seats in the House of Commons, the House of Lords, the European Parliament and regional governments. This October, Coalition Avenir Québec, a right-of-centre party was elected through First-Past-the-Post to be the government of Quebec. With promises to ban religious symbols in public (except Christian symbols like crucifixes, which apparently are simply culture), the CAQ is bordering on identity politics of nationalists favored by extremists. Proponents of the No side of Electoral Reform like Todd Stone argue that extremist politics is too high of a risk with Proportional Representation. But extremist politics is not the purvey of either First-Past-the-Post systems or Proportional Representation systems. So having listened to the arguments of the No side, I’m even less inclined to vote No. But then I listen to the Yes side, which is trying to persuade us all to change our electoral system. The Yes side talks of things like fairness, and giving everyone a voice. Then they bring out the calculators and slide rules and start doing math. Somehow an election win that needs algebra to explain it just isn’t as exciting as a flat out “winner take all”. I’ve had too many years of school yard sports games. It’s just too hard to be told that the person with the most marbles isn’t the winner. The Yes side has lost a great opportunity to tell the stories of the voices who aren’t in the BC Legislature. It was only in 1996 that openly gay MLAs were elected to the BC Legislature. The battle for equity and inclusion isn’t over. Last week, school trustees opposed to government SOGI (sexual orientation and gender identity) affirming educational resources were elected in Chilliwack and elsewhere. It is especially at times like this where a multitude of voices are needed in our legislature. Politics is about policies. And strong policies that meet the needs of our diverse province can only be created if there are a range of voices elected. Proportional representation is only one way that this could be achieved. Look at the diversity in the BC NDP caucus, with almost equal numbers of men and women, and a range of backgrounds. This is a direct result of their own party’s policies on having a diverse range of candidates running. Then look at the BC Liberals caucus, which is overwhelming white and male. Switching to proportional representation won’t fix the BC Liberals lack of diversity. So here I am, knowing that diversity of voices makes for better policy, but still wanting to win if I have the most marbles. Luckily, referendum or not, I have a tea party to look forward to. 5 Comments on BEPPLE – Should the side with the most marbles always win the game? It could be that neither system is evil, and that both have their pros and cons so it is really about which pros and cons are most important to each voter. If certainty, stability and accountability are important to you then you would probably prefer first-past-the-post. If you prefer coalition governments made up of more parties with more diverse interests that are forced to work and co-operate in partnership, then proportional representation would likely be your preference. It definitely has the potential to give smaller ‘king maker’ parties more power…I think that is a con. And the first-past-the-post con is the perceived lack of diversity. What is ‘evil’ and undemocratic though, is the referendum process itself. From the lack of transparency and information about impact (ie. size and number of ridings, are MLAs chosen from fixed party lists so may or may not be local) to the complex ballot question developed by a partisan committee, to the lack of certainty on what form of proportional representation we would have until after the vote…not to mention the low threshold (50% plus one of those that vote) and no requirement for regional representation (certainly important in such a diverse province as B.C.). I think discussion and debate on ways to improve our electoral process can be healthy, however the process for considering should be fair. This referendum is not. PS I think that there is a diversity of gender, culture and thought in the BC Liberals Caucus. I am still undecided, Nancy. 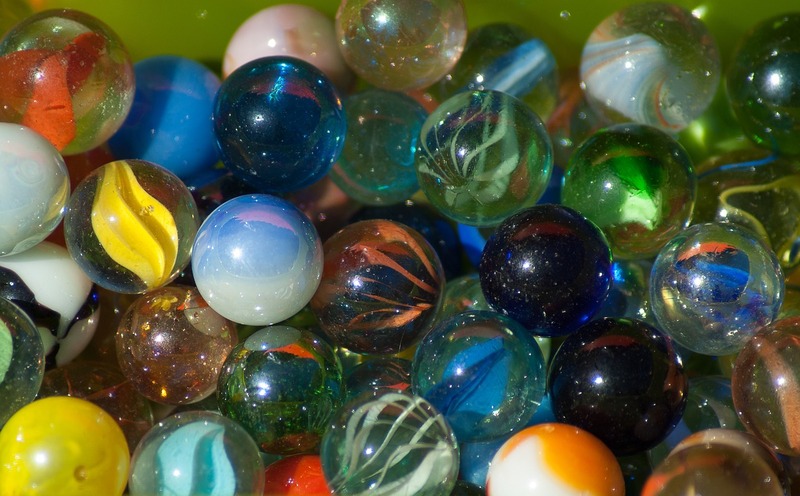 The one with the most marbles is going to win the referendum. At City Hall, the most marbles wins the vote on a budget approval, a group that has come asking for public money for a project or a developer wanting to make some coin. Speaking of party politics melding between municipal and provincial, one only has to look at a few of the names in municipal office (past and present) who have been seen pictured together at a nomination meeting for the “XYZ Party of BC” . Has that affiliation carried through political careers around the horse shoe table at City Hall, tipping that balance of who holds the most marbles in municipal voting? The marbles is a good analogy. It might even apply to having lost one’s marbles, I suppose. But, that would never happen in politics. The “affiliation” is pretty obvious among senior administrators in my opinion. Facebook can also be reviling in some not so obvious ways also. Regardless, I think consistent personal involvement is better than delegating through a vote. Perhaps if Nancy looked into “Islamification” to see what it means for women, she wouldn’t sound so blasé about it. Those who oppose it are doing so to defend women, first and foremost.